Best large diesel SUVs are extremely limited. So, for consumers in the market for a full-size SUV that’s powered by clean-burning diesel, you’ve got only two choices for the 2010 model year. 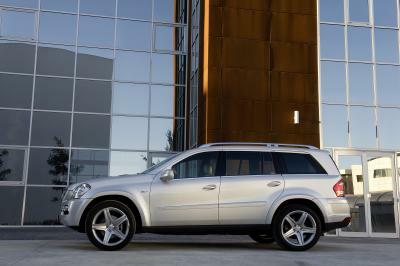 Mercedes-Benz GL350 – The 2010 Mercedes-Benz GL350 gets a freshened look. Basically, it’s a stretched version of the Benz M-Class (premium midsize). GL-Class seats 7, compared to the 5-passenger M-Class and has a higher towing capacity of up to 7,500 pounds. GL350 is the top-of-the-line model, and the only one to feature diesel. In this case, it’s the 210-hp 3.0-liter turbocharged V6 Blue TEC engine, mated to a 7-speed automatic transmission. GL350 BlueTEC has standard 4Matic all-wheel drive (AWD) without low range gearing. Audi Q7 – Sharing basic elements of design with the Volkswagen Touareg, the 2010 Audi Q7 large luxury SUV also offers consumers the option of diesel power and seats 7 to Touareg’s 5 passenger capabilities. Audi Q7 3.0 TDI features a 225-hp 3.0-liter turbodiesel V6 engine paired with a 6-speed automatic transmission. Audi’s Quattro AWD is standard. Properly equipped, Q7 can tow 6,600 pounds. Depending on the success of these two automaker’s diesel models, look for more diesel-powered models in the future – adding to the Best Large Diesel SUVs vying for consumer attention.